While lawn care is very rewarding, it is not my escape from life's pressures and demands. My escape belongs to kayak fishing. As the owner of Lawn Care Academy, I love to see the results of a hard day's work - gorgeous plants and a freshly mowed lawn. Due to my love for kayaking and kayak fishing I have expanded my horizons and started a kayak supply company, "Hammerhead Kayak Supply". Please click the link for more kayaking information. Kayak fishing is the fastest growing fishing sport in America. This is in part to the low cost of getting into the sport. 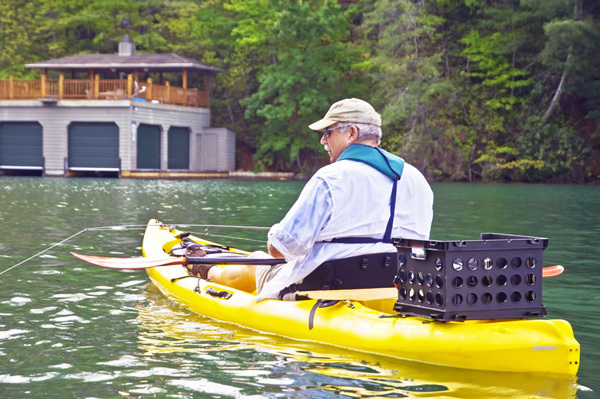 Kayaks and be paddled by almost anyone, even the physically disabled, such as disabled veterans. 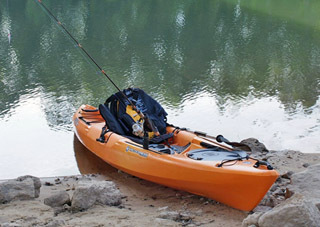 Modern kayaks designed for fishing, which are much more stable than other types of kayaks, can come equipped with rod holders, watertight storage compartments, comfortable seats, lightweight carbon paddles or even hands-free foot peddled kayaks. If yours doesn't have these, except for the foot peddles, they can be purchased as after market items at low cost. Most items can be easily installed with simple tools. 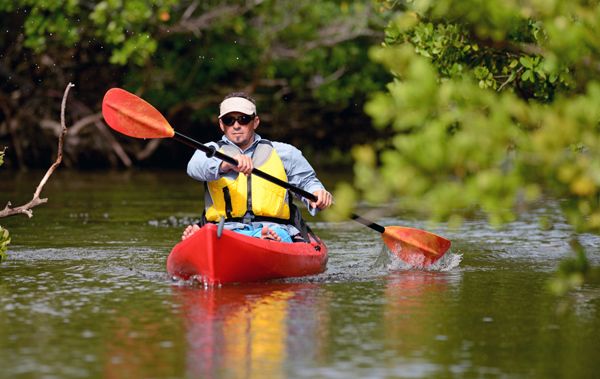 Many of the fishing style kayaks are extremely stable with the ability to stand up and fish. 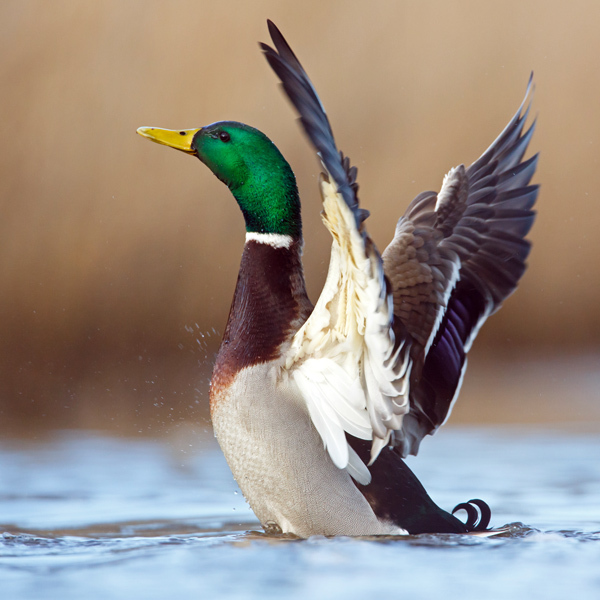 Many fishermen, including fly fishermen, prefer standing in order to sight fish. Best of all you can sometimes pick up a good used kayak and some new ones for under $500.00. Some top brands are higher. As you can see, the world of fishing has changed a lot since the early days of Eskimo kayaks. At Hammerhead Kayak Supply, we love to see kids of all ages learning to kayak. (Even kids like me at age 54) I have seen river otters, ducks, deer, and many other animals. It is a great teaching tool for kids. Not only is it a great sport, but it is a low impact cardio workout. We encourage the younger generation to get away from the tv's, smart phones and video games and get out on the water and enjoy the thrills of fishing and kayaking. It is the same for the older generation where 60 and 70 year olds are out enjoying the water from a kayak. Fishing kayaks do not have the high learning curve of the shorter whitewater kayaks or the longer and narrower sea kayaks. In fact, even if you have never been in a kayak before, it takes only about 20 minutes to familiarize yourself with the important strokes in a stable fishing kayak. Most dealers will allow you to test on first, so finding the best fishing kayak suited for you is easy. 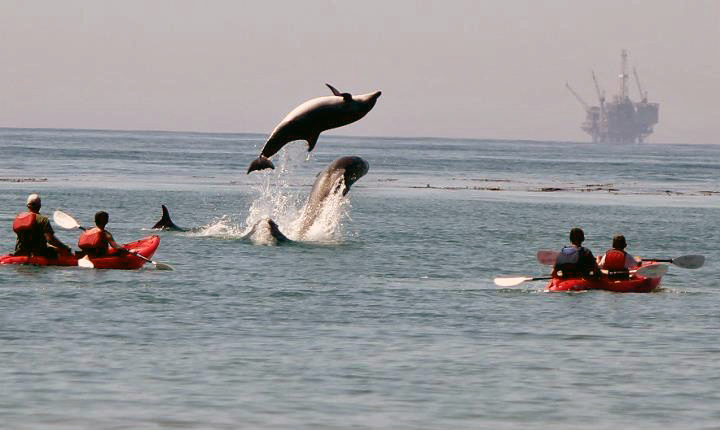 You can then be on your way to experiencing the joys of kayaking. Imagine this: you are sitting in a kayak just inches above the water, so close, in fact, you can easily reach over and scoop up the water in your hands. Then, a dolphin leaps just feet away from you. The experience is extremely memorable and one you will never forget. It is far more rewarding in a kayak than a large boat. Did you know thousands of kayak fishermen put in on the Gulf, in the brackish marshes along the coast, and even on the open ocean everyday. There are even boats that take kayakers out 30 to 40 miles and put them in the water. These kayak fishermen catch marlin, shark, sailfish and more. If you catch a large fish you can literally be towed several miles where the larger boats will help release the fish or take them on board if you want to keep them. Recently a world record Greenland Shark, over 1300 lbs, was caught, tagged and released from a fishing kayak. A small boats does not mean small water. Kayaks are not designed just for ponds. The sky is the limit. You can bass fish on a lake, cove, or stream or troll for stripers over deep water. If you live near or frequent the coast you can put in on brackish lagoons and bays for bull reds (redfish), sea trout, ladyfish, and more. For the more adventurous you can paddle out past the breakers, known as "beyond the breakers" or "BYB" in kayak fishing circles. There you have access to shark, king mackerel, stripers, sailfish, and so much more. Recently the winners of the annual "Extreme Kayak Fishing Tournament", a 'kayak only' sailfish tournament was won by two men who are primarily freshwater bass fishermen. Spring is here. Get away from the lawns and get out on the water. Your lawn will still be there when you get back. You only get one life. Live it for all it's worth. Start kayaking now.